Self-driving cars are supposed to be safer by nature, as they shouldn’t make nearly as many driving errors as humans. However, Waymo might not be willing to take any chances. The Alphabet-owned company recently received a patent for technology that would soften a car’s body in the event of a collision with a pedestrian. The feature would change the rigidity of body panels, bumpers and the hood using underlying cables, rods or springs. The moment sensors detect an imminent pedestrian impact, the car would loosen those underpinnings and create a relatively gentle surface that reduces injuries. This is just a patent (that was filed in 2015, no less), so there’s no guarantee that Waymo will implement it — the company clearly hasn’t so far. As it stands, there are some unanswered questions about the effectiveness in real life. Would the shell be as durable in the event of a car-on-car crash as a conventional panel? Would the cables and other attachments add a significant amount of weight or cost to the car? And would this increase the risk of injury for people inside the car? Waymo would have to address all of these questions before it could use its technology on the road. Even if it never reaches real products, the patent (along with an earlier patent for pedestrian ‘flypaper’) sheds light on Waymo’s thinking. It sees a driverless car’s AI as just one part of the solution to road safety, and is seriously considering vehicles that take radical steps to protect collision victims. 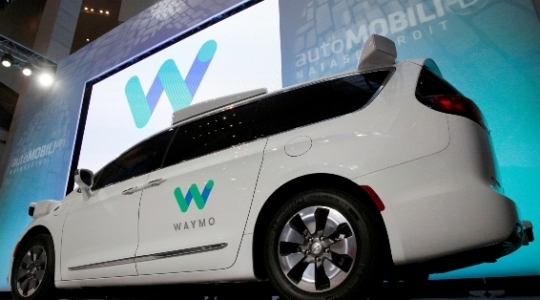 There are certainly pragmatic reasons for Waymo to be extra-cautious. The public is understandably nervous about autonomous driving tech, to the point where people closely scrutinize every crash. If Waymo can minimize the injuries from self-driving cars, it’s not just saving lives — it’s increasing confidence in the cars’ superiority over their human-piloted counterparts.